Control the key as has been his forte throughout a long and distinguished career; Vladimir Samsonov of Belarus won the Men’s Singles title at the Seamaster 2017 ITTF World Tour Platinum Australia Open in Gold Coast on the evening of Friday 7th July and thus added another paragraph to his curriculum vitae. At the final hurdle, the no.4 seed, he beat Frenchman, Simon Gauzy, the no.6 seed, in five games (11-13, 11-8, 11-5, 11-8, 11-8). The wins means he becomes the first player in any discipline to win in every continent – Africa, Americas, Asia, Europe, Oceania – on the ITTF World Tour. Furthermore, he extends his lead at the top of the all-time list of ITTF World Tour Men’s Singles winners; present every year since the initiative began in 1996, Vladimir Samsonov has now won on no less than 27 occasions; his nearest rival is China’s Ma Long with 24 such victories. Success for Vladimir Samsonov, followed success for China’s Cheng Meng, the no.3 seed, in the Women’s Singles event. 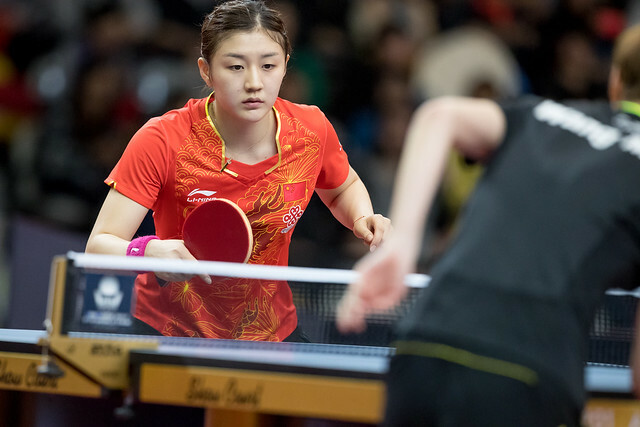 She beat colleague and qualifier Wang Manyu to collect her eighth such career title in what was a repeat of the final earlier in the year in Qatar. On that occasion Chen Meng won in five games (12-10, 11-9, 11-6, 2-11, 11-6); in Gold Coast she won in six games (3-11, 12-10, 3-11, 12-10, 11-2, 11-7). The win for Chen Meng meant that she emerged the most successful player in the whole tournament; earlier in the evening she had partnered colleague Zhu Yuling to success in the Women’s Doubles event. The top seeds, at the final hurdle they accounted for Chen Xingtong and Wang Manyu in an all-Chinese final (11-8, 11-9, 11-7). An impressive performance, it meant as a pair, the duo who had been runners up at the Liebherr 2017 World Championships earlier this year, secured their eighth ITTF World Tour Women’s Doubles title as a partnership. An eighth for Chen Meng and Wang Manyu; it was a first for the Korean combination of Jang Woojin and Park Ganghyeon. The top seeds, in the title deciding contest, they accounted for the Chinese Taipei combination of Chen Chien-An and Chiang Hung-Chieh, the no.2 seeds (11-2, 11-13, 11-5, 11-6). 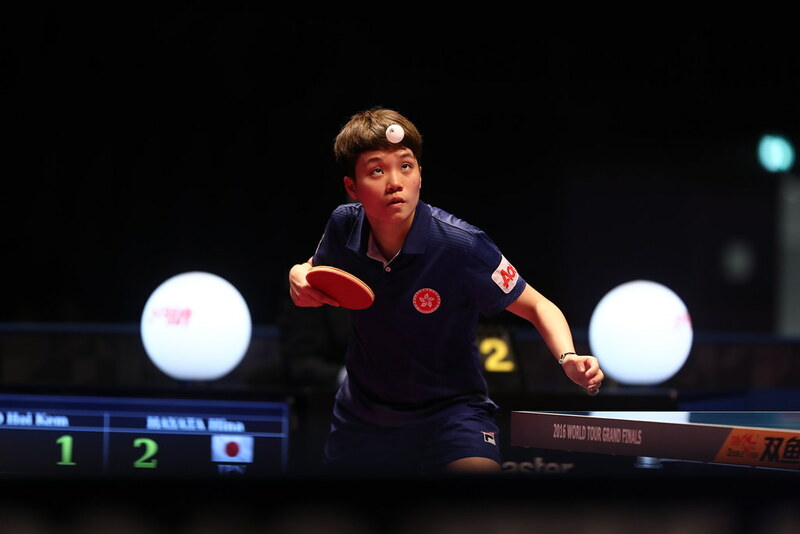 A first for the combination and a first for Park Ganghyeon but not for Jang Woojin; he has now won four ITTF World Tour Men’s Doubles titles and always with a different Korean partner. In 2015 in Austria he partnered Lee Sangsu to success, in 2016 in harness with Lim Jonghoon he won in Belarus; earlier this year when partnering Jeong Sangeun he succeeded on home soil in Incheon.